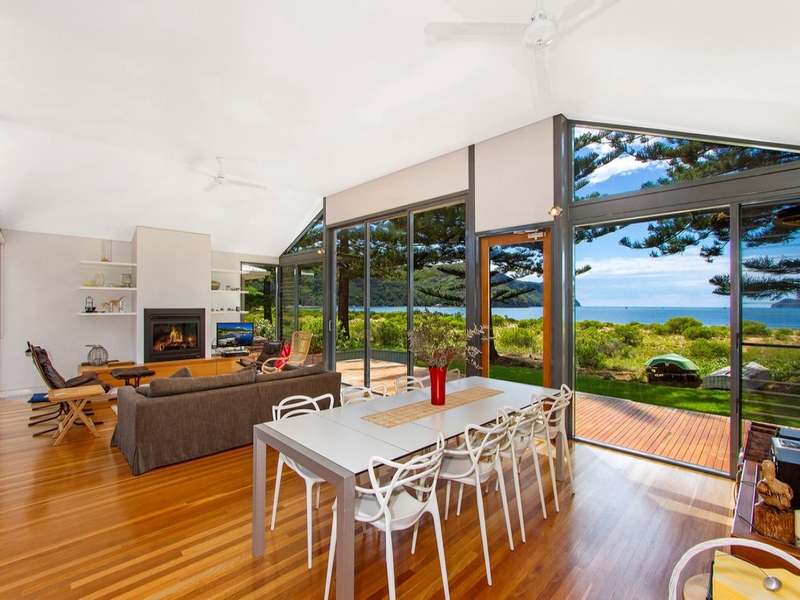 Architect designed contemporary large beach house with stunning ocean and beach views. Alfesco style outdoor entertaining is an added bonus. The stunning kitchen contains all the mod cons expected in a property of this calibre. Lounge contains Jetmaster Gas Heater for those chilly winter months. The property also has air conditioning. Upstairs in this property you will find the main bedroom, boasting awesome views. This room contains queen bed. Bedroom 2, also upstairs contains queen bed plus 1 single bed. Downstairs you will find bedroom 3 which contains 1 double bed plus 2 single beds (bunks) and another single bed.